If you want to benefit from the valuable substances of the cherries even when they are not in season, dried cherries are a good choice. 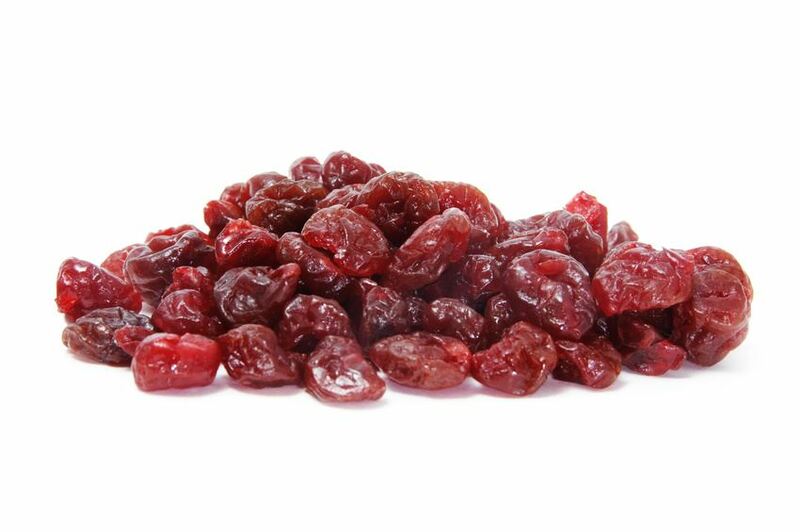 Dried cherries look like raisins and are very tasty in muesli, yoghurt or as a snack. Cherries belong to the rose family, we distinguish between sour and sweet cherries. Sour cherries grow on shrubs or small trees and are light red to black red. The pulp is - as the name indicates - sour and red. Sweet cherries grow on larger trees and have a consistent black-red colour. The pulp is sweet to bitter-sweet. Both cherry types contain important vitamins and mineral nutrients, of the latter they contain twice as many as apples. Noteworthy are vitamin C and folic acid, potassium, calcium, magnesium, iron and pectin.